The sources said that the woman, Miriam Carey, had a history of mental health problems. The chase, on Thursday afternoon, stirred panic in the capital and briefly stopped the mechanisms of government. It happened two weeks after a man shot 12 people to death at the Washington Navy Yard. Members of the House and Senate, in a standoff over the government shutdown, were ordered to stay in place. One lawmaker was cut off mid-sentence during a speech. A swarm of police startled tourists who were taking in Washington on a summery day. Carey, 34, was a dental hygienist living in Stamford, Conn. Details of her background began to emerge in the hours after the episode. Carey was driving a black Infiniti sedan when, just after 2 p.m. ET, she struck a security fence outside the White House. She took off after hitting a Secret Service officer with her car. 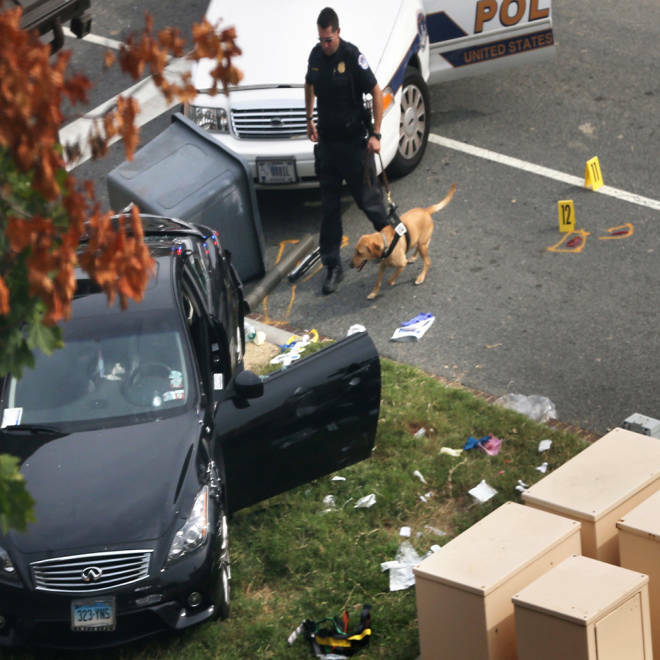 From there, police said, she sped up Pennsylvania Avenue toward the Capitol, reaching 80 mph at one point. Police and the Secret Service stopped her at the foot of the Capitol, but she jammed the car into reverse and took off again as police opened fire. Carey led police on a chase around the perimeter of the Capitol and crashed her car outside a Senate office building a few minutes later, police said. The police shot at her, and she died a short time later. The chase was captured on video. A Capitol police officer was hurt as he was speeding to confront her and hit a barrier that popped up in the street. The two injured officers were exempt from the government shutdown and required to work but were not being paid. Carey had an 18-month-old child, believed to be her daughter, in the car, authorities said. The girl was taken to a hospital and found to be unharmed. She was in the protection of social services Friday. Katy Tur of NBC News contributed to this report. The U.S. Capitol was placed on lockdown following a car chase involving a woman who attempted to ram a security fence at the White House.